2011 Academy member Ryan J. submitted this photo and caption. 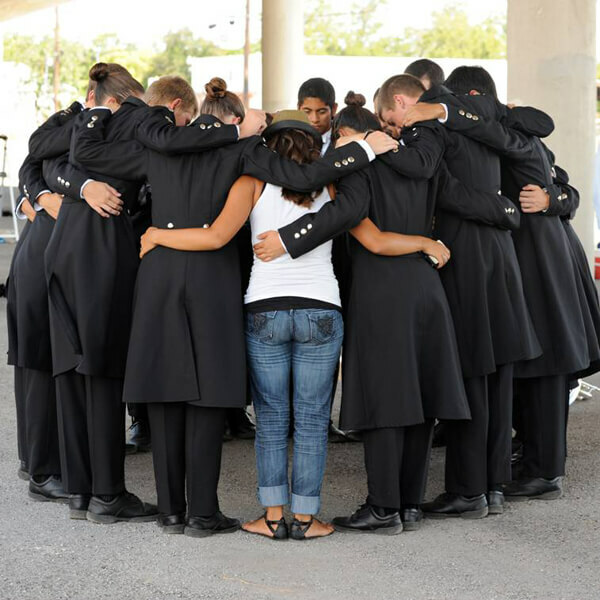 In drum corps, we all work as hard as we can to achieve our goals. We spend hours in the sun, perfecting our craft, knowing that if we can just make some ground on the hardest part of our show, we will have the momentum to accomplish anything. I know many people who are constantly seeking a home, we found it within the 16 of us this summer. Sometimes, when people come together to accomplish a single goal, they find ways to get over the tiny difference that they have with one another. Sometimes, they change each other in fantastic and irreversible ways.